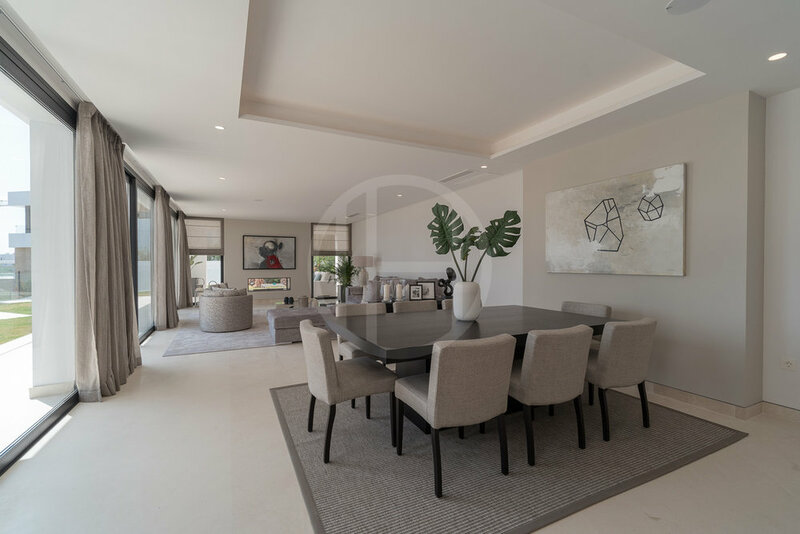 The ground floor consists of a bright entrance hall with that opens to the spacious open plan living, dining and kitchen, all areas. 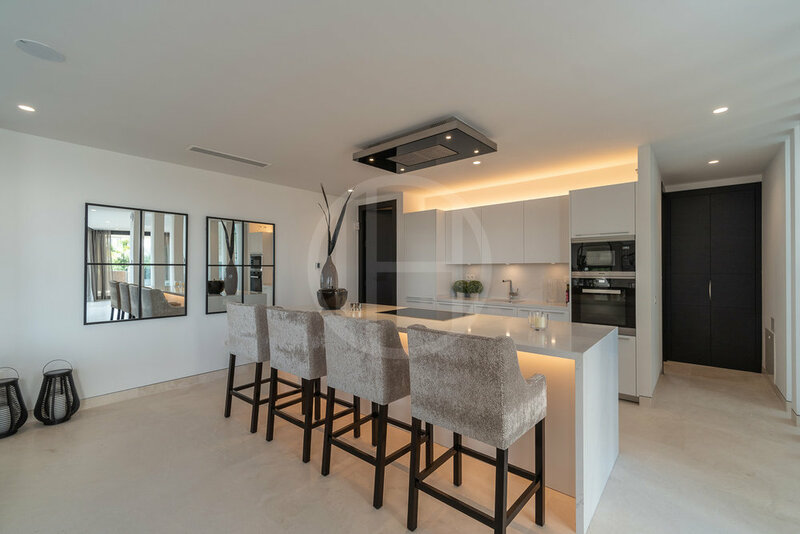 Furthermore, the villa has a beautiful kitchen with Miele appliances and worktop island facing the dining area and with views of the sea. Just behind, you find a practical pantry area with separate fridge and cooler. 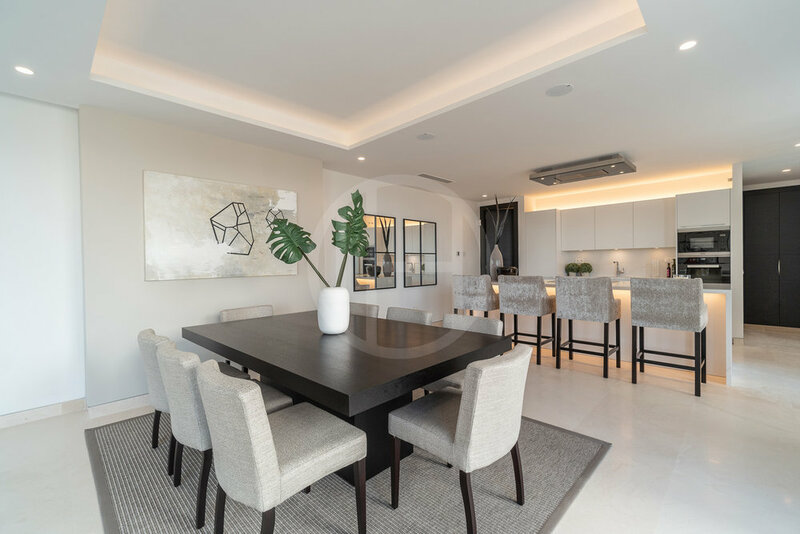 Both dining and living room opens to the spacious covered terraces and private garden with the stunning infinity edge swimming saltwater based pool. A powder room, and a pantry complete this level. 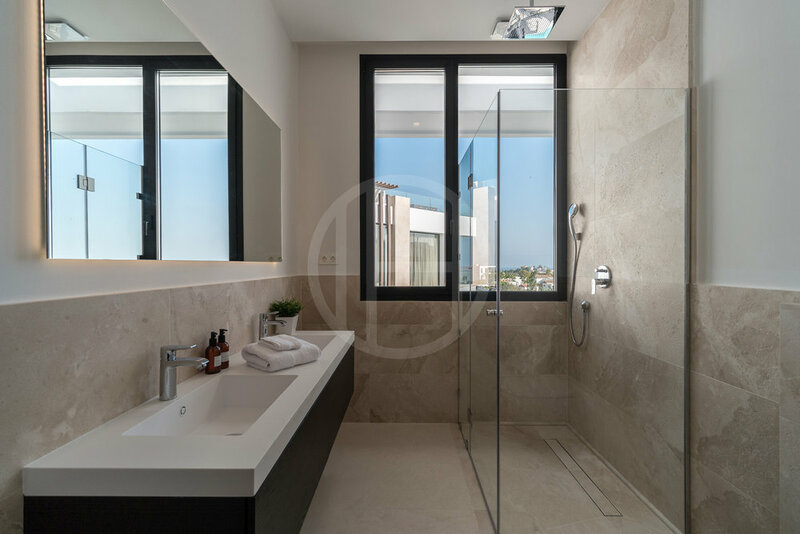 The upper level consists of the stunning master bedroom with a fireplace and a private terrace with lovely sea views, a bathroom, and dressing area. Further three bedrooms with ensuite bathroom and private terraces. The rooftop level consists of a solarium terrace with jacuzzi and stunning golf and sea views. The solarium is an ideal area for lounge and entertainment. Connected both with the elevator and an exterior staircase. 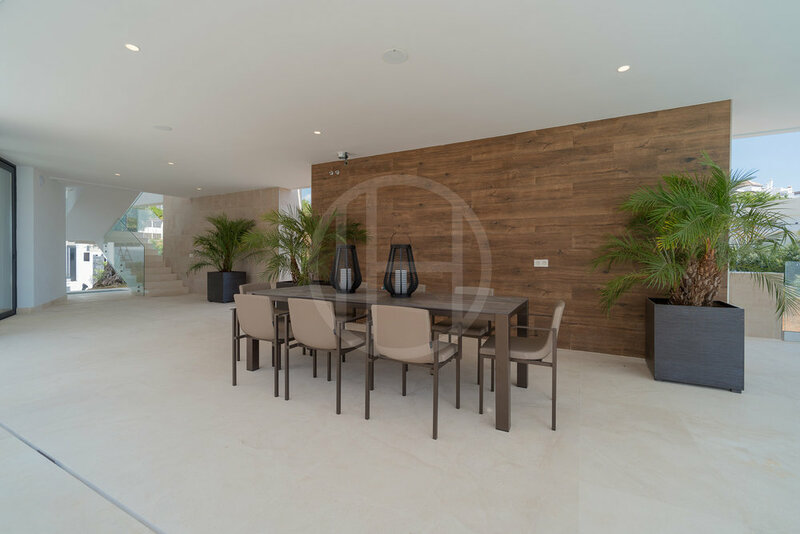 This level consists of a bedroom with en-suite bathroom, a large living room with many possibilities, gym with bathroom and shower, cinema/media room, laundry room, double garage, and technical rooms. The furniture and decoration are not included in the price.